I realised that this text was was going to be a struggle too far when, in just the third sentence I found nine words that I didn’t know. That’s right, nine out of twenty. If that’s not a barrier to student engagement I don’t know what is. In fact, it’s not just a barrier, but a mile high wall that I had no intention of climbing. As you can see, it didn’t help much. Sure, I can get the general idea but that’s no way to read a story, especially by one of Brazil’s leading writers. My next reaction was to throw the story to one side and forget about it. Seriously, I don’t mind a bit of a challenge, in fact I expect it (as alas not enough teachers are aware of the idea of extensive reading and the level of input being -1, not +15) but this was a joke. I’m not going to wade through a text that deep and difficult in the knowledge that at the end I’m very unlikely to understand the story, and I might have picked up a couple of words of vocabulary. There are better, much less time consuming ways of achieving the same thing, and many better ways for me to spend my time. The offending text, with all due to respect to Ms Lispector. My third reaction was to write an email to my teacher. I had often thought of doing this before, but this was the straw that broke the student’s back. In my email, entitled “Clarice Lispector, ai ai ai…” (Clarice Lispector is the name of the author), I explained to my teacher that I really wanted to read the story but it was too difficult. I showed him the example of the sentence that put me off, and said that while I’m ready for a challenge, this was too much. I acknowledged that maybe for the other the learners in the class the story may have been fine, but for me it was too difficult. I went on to explain, one teacher to another, an idea for how I have taught multi-level reading classes (simply, ask the students to find one text each, give them all to the students in the next class and ask them to choose one that interests them). I have avoided doing this so far because I didn’t want to appear to be telling him what to do. As another language teacher I had to be sensitive, I think. It took me 45 minutes to write the email, and when I finished I realised something unexpectedly positive had just happened. I had sat there and written out a complete email, expressing some fairly complex ideas, without stopping, in Portuguese. I knew that it was unlikely to be perfect, but I also knew that it wasn’t that bad either. I was fairly confident that I had expressed myself clearly and made the teacher understand what I was thinking. Seems like a very worthwhile homework activity to me. And secondly, and most importantly of all (and I really can’t downplay the importance of this), I had enjoyed it. 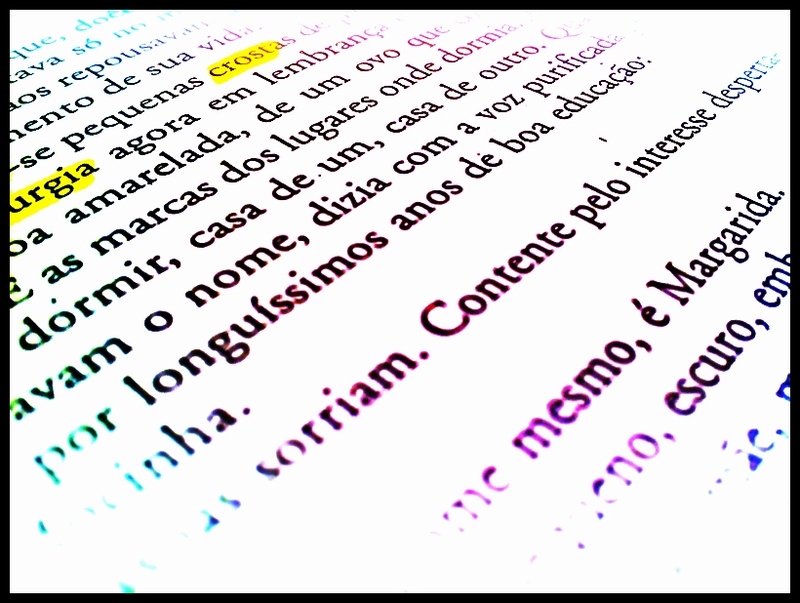 I can honestly say that it is the first time I had enjoyed doing any kind of ‘work’ in Portuguese. There’s been homework that I’ve tolerated, and some that I’ve loathed (hello grammar exercises), but I don’t remember actually enjoying it before. And I can’t tell you how much satisfaction I get from that because my learning of the language that I would dearly love to be fluent in has been frustrating and annoying and trying and all the things that I don’t believe language learning should be. I finally enjoyed it, and I have to exploit that in the future. Great read. I wonder how many teachers have actually been students in communicative classes? When I become King of the Universe, I will ban all language teachers who have not a) lived abroad and b) learnt a language themselves. Those experiences have informed my career much more than any formal education or reading or peer-observation. I can't be alone in that, can I? But seriously, I'm not sure someone has to live abroad, but it's certainly a great help to have been in a language class. As you'll see when you read part two of this, I learned a great deal just from this experience alone. Do you think we can compare it to eating the food of a cook who's never been to a restaurant, or does a dentist have to had bad teeth to be capable? I think in this case, it's more likely to be the former. I learned a lot of Spanish thanks to books of essays by J.J. Millas. The essays are very witty, surrealist, (which keeps me alert because anything can happen,) and most importantly, tend to be under two pages so the time cost is low. I got hooked through an essay in a Spanish class. If I had started them at an earlier level, they might have been useless. So. love your suggestion to get students to crowd source texts to cover different levels. Having read James' more recent follow-up post and come back here, I will pinch Matt's idea and track down Millas' work. By the by, I love TED in class, and I think Eduard Punset does some science-orientated writing and video, as a rough equivalent.